In a study, the researchers reported that people preferred receiving sympathetic and empathetic responses from a chatbot—a machine programmed to simulate a conversation—than receiving a response from a machine without emotions, said S. Shyam Sundar, James P. Jimirro Professor of Media Effects and co-director of the Media Effects Research Laboratory. People express sympathy when they feel compassion for a person, whereas they express empathy when they are actually feeling the same emotions of the other person, said Sundar. The researchers recruited 88 volunteers from a university and Amazon Mechanical Turk, an online task platform. 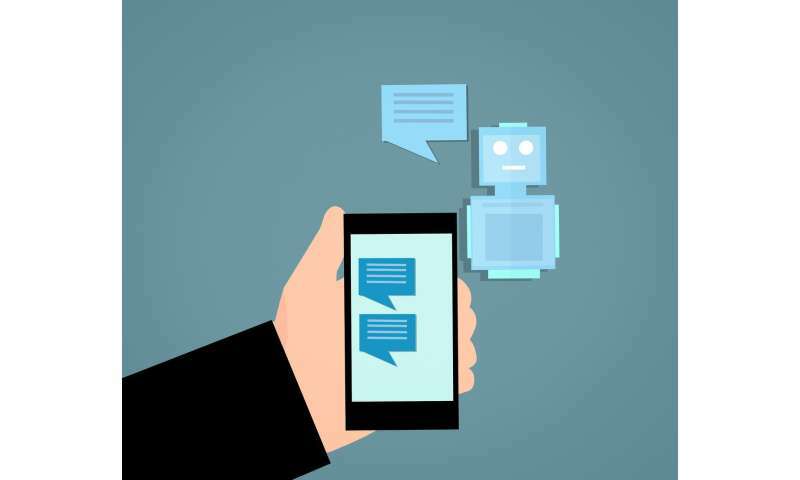 The volunteers were asked to interact with one of four different online health service chatbots programmed to deliver responses specific to one of four conditions set up by the researchers: sympathy, two different types of empathy—cognitive empathy and affective empathy—or, an advice-only control condition. "We found that the cognitive empathy—where the response is somewhat detached and it's approaching the problem from a thoughtful, but almost antiseptic way—did not quite work," said Sundar." Of course, chatbots and robots do that quite well, but that is also the stereotype of machines. And it doesn't seem to be as effective. What seems to work best is affective empathy, or an expression of sympathy." This is reminiscent of a scene in THX 1138, George Lucas' brilliant post apocalyptic film. The protagonist is having a breakdown and speaks with an electronic priest in a glass confessional. As he's throwing up, the voice of the priest continues, " Yes, my son, I see, yes, I understand..."
You can keep your conversational algorithms. I want to speak with humans , thank you.